Drazen Tetec was born in 1972 in Koprivnica, Croatia. He studied art with Josip Generalic and began his artistic career in 1991. 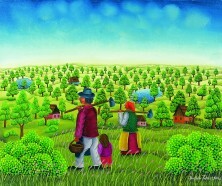 He has exhibited in over 40 group exhibitions in Croatia and abroad. 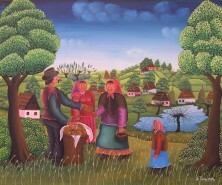 He is a member of the Croatian Association of Naïve Artists. He currently lives in Hlebine, Croatia.